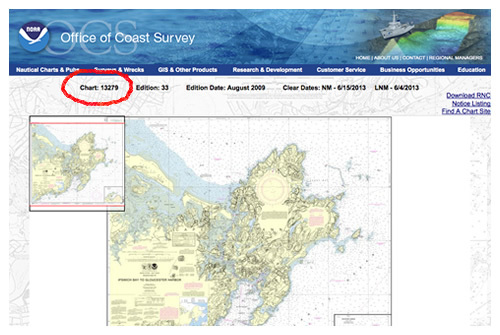 Follow the link below to the NOAA chart viewer. Make a note of the chart number that you want (circled at right). Save this information to complete your order. Also be sure to make a note of the particular harbor or area that you will want front and center on your shade. When you place your order there will be a way to indicate this.